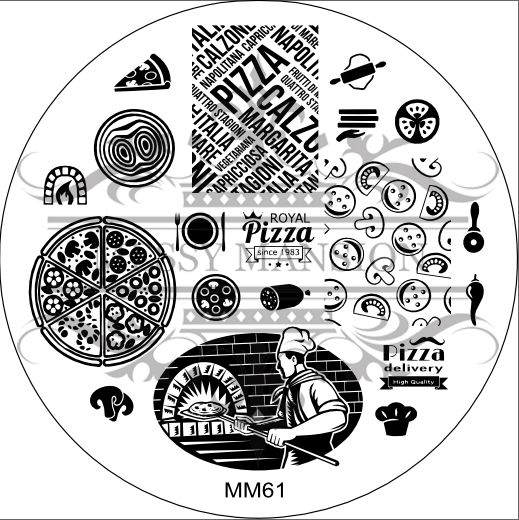 Lacquer Lockdown: Hot Off The Stamping Press: New Messy Mansion MM Series Nail Art Stamping Plates! 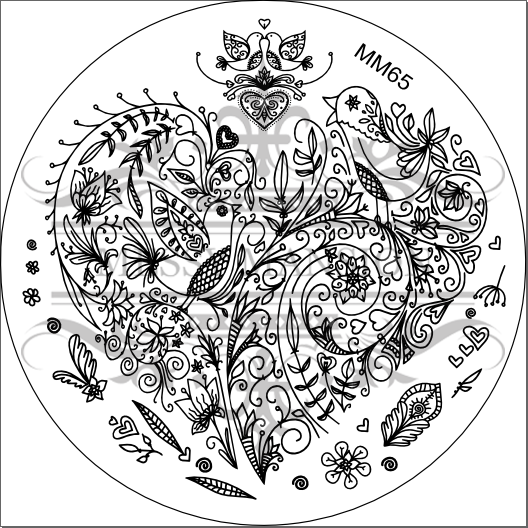 Hot Off The Stamping Press: New Messy Mansion MM Series Nail Art Stamping Plates! Summer perfect! I know some of you are probably thinking why is Messy Mansion showing us summer plates when the summer is almost done stateside. Well don't forget this company is in Australia which is on the other side of the hemisphere meaning the seasons are reversed. So while we begin to ease out of the relentless heat of the summer they are just beginning to roll into it. 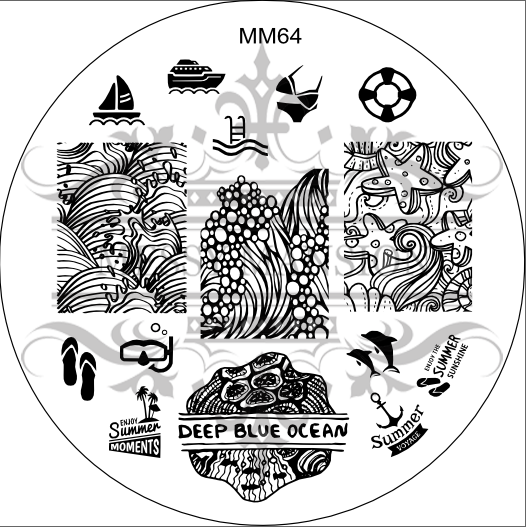 That aside I love the ocean inspired plates that are produced by this company. The images are unbelievably lovely. Birds and vines and flowers and open filigree. These plates are super popular now. If I'm honest I'll say I'm a bit on the fence with these designs. I don't love them but I don't hate them. I'd definitely need to play with these a little bit. Hoooooooo. I know I'm back when I start making my country sounds of glee lololol. This plate is awesome! 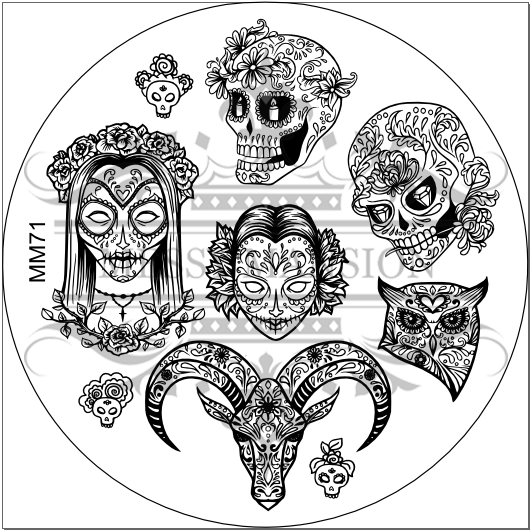 I love sugar skulls and sugar skulls shaped like animals and sugar skull women! Gah! I don't even know what I'm typing but I need this plate! Ok this is just cute! Way too cute! All the little pepperoni and mushrooms and the brick oven. Not only that this plate is really creative and done with the usual unexpected flair that Messy Mansion is so good at. I love it!